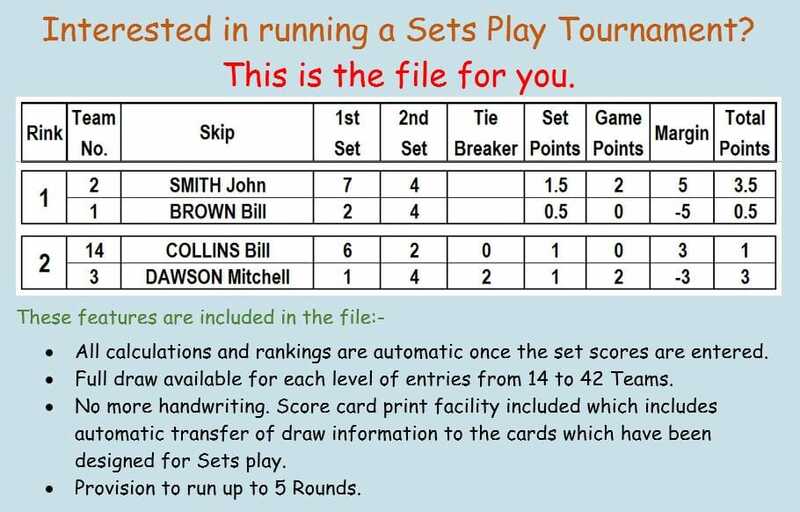 Mixed Pairs Master Sets Play file HERE. YouTube Video on how to use the Silver Bullet file. Click here to view a YouTube Video on how to save and use this Sets Play file. ​Right click the link below and use "Save target as" to save to your computer. ​The file must be opened from your hard drive or it will not function correctly. 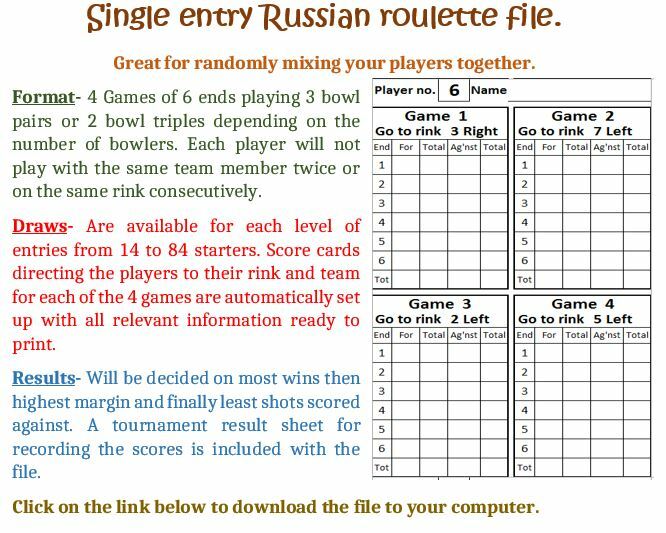 ​Russian roulette file for a TWO GREEN Club. 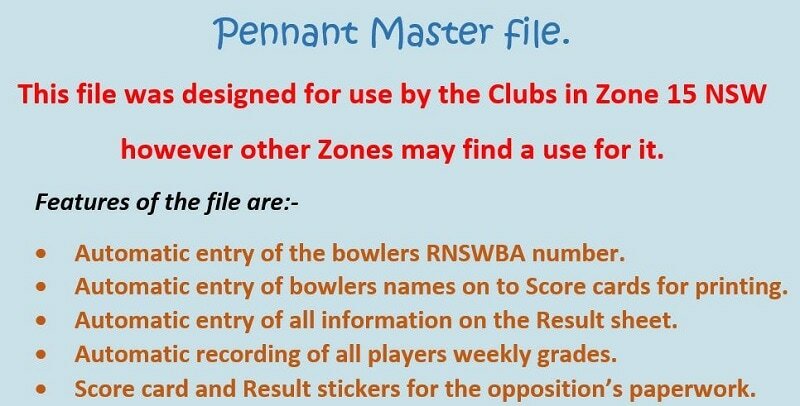 Click here to view a YouTube video on using the Pennant file. Click here to view a YouTube video on using the Winners & Losers file. 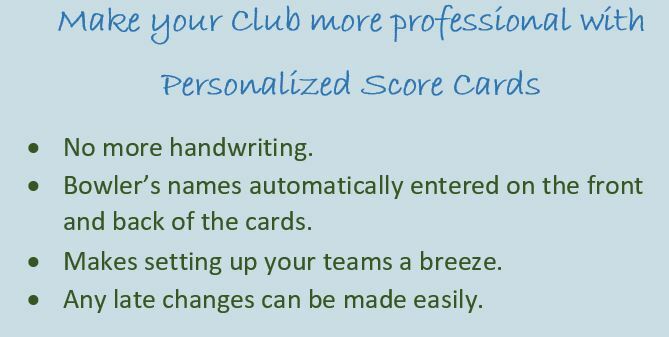 Click here to view a YouTube Video on using the Score Card print file.